Ella Mae LeFaye's delicious pies are still drawing long lines, as well as the attention of Beatrice Burbank, president of the Camellia Club, a philanthropic organization comprised of high-society Southern ladies from the charming and affluent town of Sweet Briar, Georgia. To ensure the success of their centennial dessert cookbook, Bea hires Ella Mae to teach the tasty tricks of her trade to the club's members at their annual retreat. Eager to work on new recipes for customers with food allergies and dietary restrictions, Ella Mae readily agrees. But when Ella Mae finds Bea's body floating in Lake Havenwood, she wonders what she's gotten herself mixed up in. 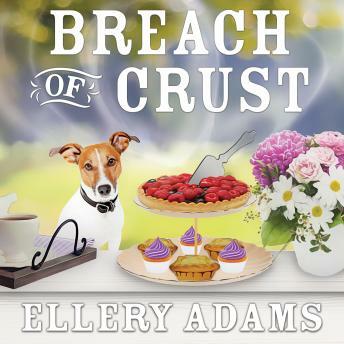 Someone certainly wanted Bea to eat humble pie, and the retreat offers no shortage of unsavory characters, including Ella Mae's longtime nemesis, Loralyn Gaynor. Ella Mae definitely doesn't need magic to tell her that she must find the killer before someone else gets panned.